The remuda is the catch of horses that a ranch generally keeps for ranch work. 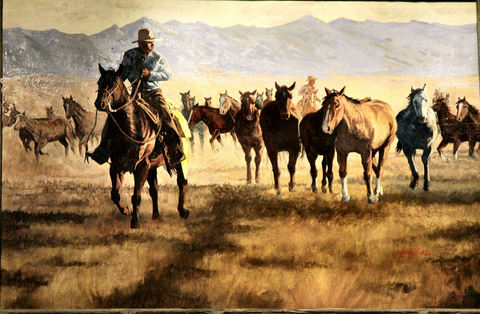 Each cowboy may have up to three of his own horses in the remuda. Most times a designated wrangler or two keep this herd managed and ready. At the end of the day all the horses are led or driven back to the corrals.